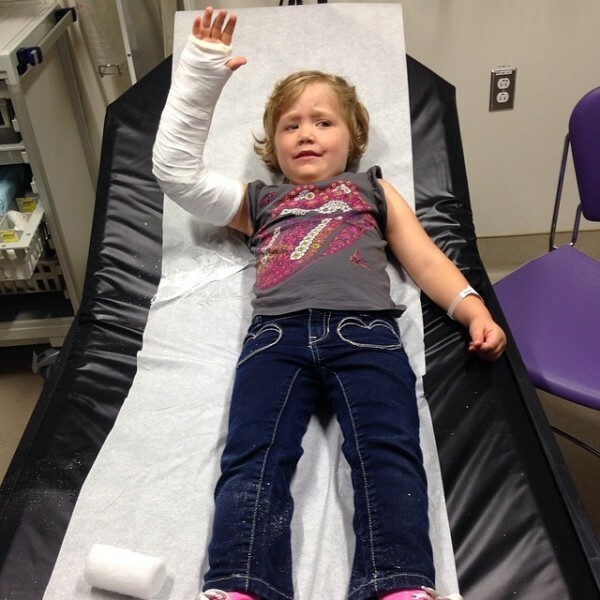 At the beginning of the month, Charlie fell off a slide and broke her elbow. I quickly rushed her to the emergency room hoping it was badly bruised. Turns out it was broken. The first words out of my mouth were “we are going to need a waterproof cast”. The first word out of the nurse’s mouth was “no”. So what’s a mom to do? It is was the beginning of summer and our peak pool time. I took to the internet and began researching alternatives. My first google search led immediately to Dry Cast. The company has been in business for over 25 years and are doing a lot of things right. Most importantly, their product works. Before we get to that, I emailed Dry Cast and told them about Charlie’s arm. They immediately contacted me and gave me over the phone directions on taking perfect measurements. I emailed the measurements and within an hour received a shipping notice from the company. Days later I received both a swimming cast cover and a shower/bath cast cover. I must admit I was pretty sceptical when I pulled the cast cover out of the package. It looked huge and ridiculous. Still, it was my only hope to save a press trip that involved a lot of water. So in the suitcase it went. We arrived at Deerhurst Resort and the kids immediately wanted to swim. I quickly calculated that it would take exactly 3 hours to drive back to Toronto to Sick Kids to replace the cast if the cast cover didn’t work. Being a risk-taker myself, a decided it was time to swim. I got Charlie ready and tried to test her on whether or not she would know if the cast cover was filling with water. She seemed pretty clear on the issue and I proceeded to put the cast cover on. The process of putting the cast cover on is very similar to putting on nylons. It seemed tight enough at the top so we got in the water. As the cast cover enters the water, air escapes a from the top and it seals onto the arm. I kept asking Charlie if her arm was dry and she reassured me it was. On our first test, we followed instructions to a tee. We stayed in the water less than 30 minutes and did not do any jumping in. I was so relieved and amazed when I removed it and her cast was as dry as ever. Then we got a little bolder. Against all instructions, we used the cast cover a second time from over an hour with a lot of jumping in the pool. THE COMPANY DOES NOT ADVISE THIS. In the end, the result was the same. Not a drop of water got in. I am not telling you to go ahead and do it. Just letting you know what our experience was. We were also sent a Dry Cast Shower Cover which looks quite different than the swimming cover. It is quicker to get on. We used it nightly for bath time and never had an issue with any water leaking in to the cover. 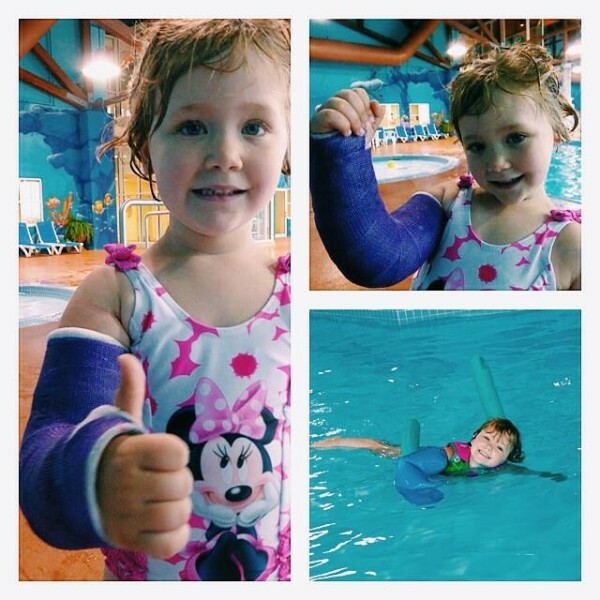 I would recommend it for any child or adult with a broken limb that does not want to deal with wrapping the cast in plastic every time they bathe or shower. The first thing you will inevitably do when you or your kid breaks a bone is panic. The second thing you should do is call or email Dry Cast. Although I am glad Charlie will soon be whole again, I can attest that the summer would have been ultimately saved by Dry Cast. I used this product in a pool, sprinkler and splash pad and the result was always these same. Dry Cast offers free USPS shipping. Currently both the swim and original cast covers are 10% off. I always love to see video proof that a product really works. 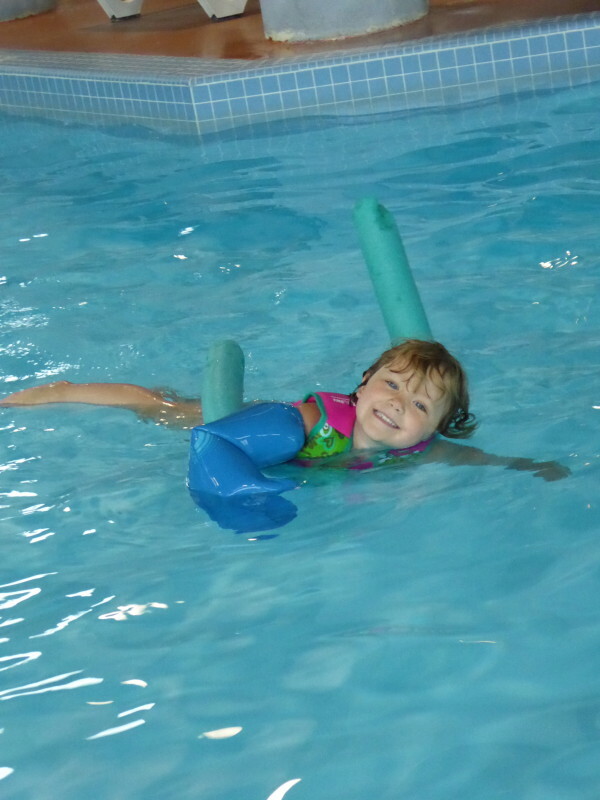 Here is a video of Charlie in the pool and one of me removing the dry cast waterproof cover. Disclaimer: I was provided the cast covers at no cost in order to test. I was not required to write a review. The opinions expressed above are my own. Since you bought the cover for swimming, was it necessary to also buy the cover for bathing? Or could you had used the swimming cover for bathing as well? Thanks so much!!! Same cover worked for both!